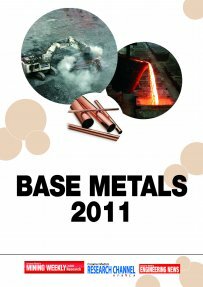 Creamer Media's Base Metals 2011 report covers activities in the copper, lead, nickel and zinc markets and aims to give details on the global market, including information on supply and demand, pricing, and the market outlook for each of these metals. In addition, the report provides details of base metals operations and projects currently under way on the African continent. Published on: 17 November 2011.